Not as pretty as the packaging, but how does it taste? Tastes far better than it looks! 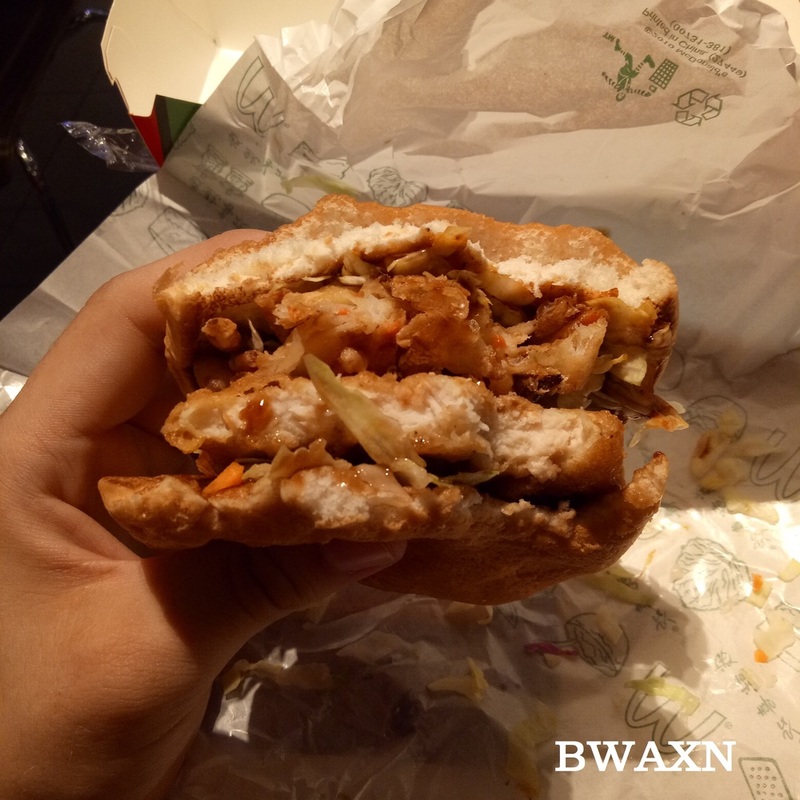 The bun is very plain but the chicken patty seems better than the standard chicken burger, the vegetable tempura is very good, and the sauce is a nice compliment to the burger!